Our worship facility at the Orange Blossom Business Center was flooded during the hurricane Irma. 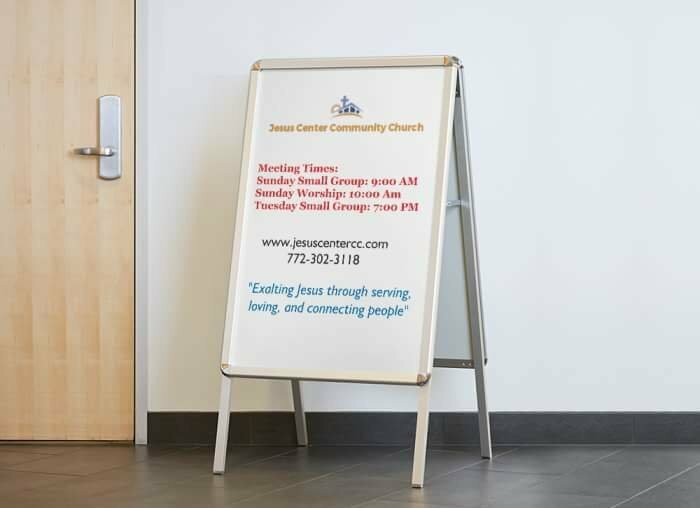 Therefore, the people of God at Jesus Center Community Church did not have a location to meet for corporate worship on Sunday. Through God’s providence, my friend Tim O’Carroll, Pastor of Discovery Church of PSL and Director of the Treasure Coast Baptist Association (TCBA), was very gracious and kind to allow us to use the TCBA facility for two months while our church facility (Jesus Center) was going through renovation and repair. Isn’t God amazing? We are thankful to Pastor Tim, the people of God at Discovery Church for hosting us a couple of Sundays, and of course, the Treasure Coast Baptist Association and all the churches that support the Association. The people of God at Jesus Center want to thank you for all your support and prayers. From a pastoral perspective, I also want to thank the people and leadership team, and the wonderful and fine young men and women of our Tuesday night Discipleship Small group at Jesus Center for their patience, perseverance, and amazing love during the past two months. I believe we have gotten stronger as a church and body of Christ. I love you!!! You and your family are cordially invited to join us in the morning for our worship celebration encounter at Jesus Center. Bring a friend with you tomorrow morning!